Mormons, or members of the Church of Jesus Christ of Latter-day Saints, form a growing population in both numbers and influence. Yet few people have more than a passing knowledge of the document that defines and drives this important movement-the Book of Mormon.A former Mormon and an adult convert to Christianity, author Ross Anderson provides a clear summary of the Book of Mormon including its history, teachings, and unique features. Stories from the author and other ex-Mormons illustrate the use of Mormon scripture in the Latter-day Saint church. 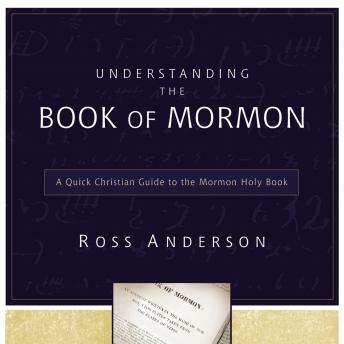 Anderson gives special attention to how the Book of Mormon relates to Christian beliefs about God, Jesus, and the Bible.With discussion questions to facilitate group use and a focus on providing an accurate portrayal of Mormons beliefs, Understanding the Book of Mormon is an indispensable guide for anyone wishing to become more familiar with the Church of Jesus Christ of Latter-day Saints and its most formative scripture.